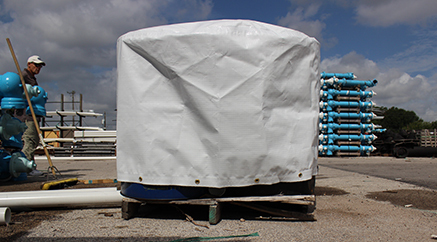 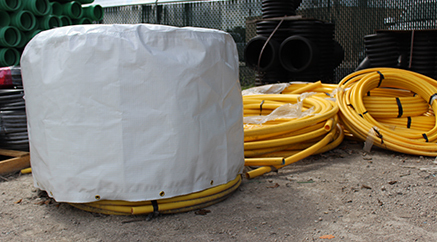 PVC Pipe Covers - Pipe Sleeves | Reef Industries, Inc.
Reef Industries, Inc. custom manufactures and fabricates Griffolyn® PVC pipe covers and sleeves to provide long-lasting protection associated with outdoor storage. 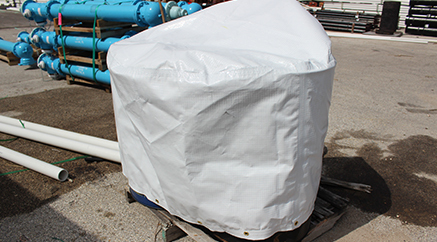 Griffolyn® offers outstanding value and will save time, money and the hassle of replacing damaged products from UV degradation and extremely cold environments. 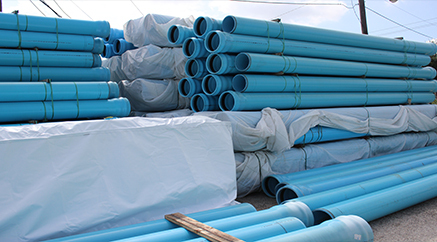 Griffolyn® pipe covers and sleeves have an exceptionally high-strength weight ratio to maintain continuous protection yet are lightweight and easy to handle to reduce labor installation costs. 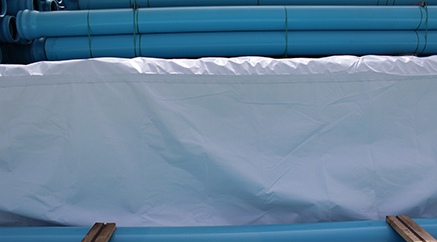 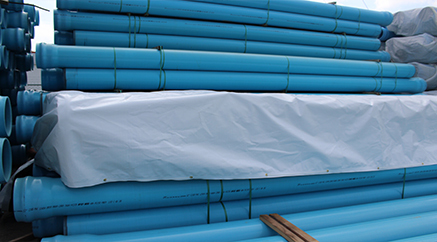 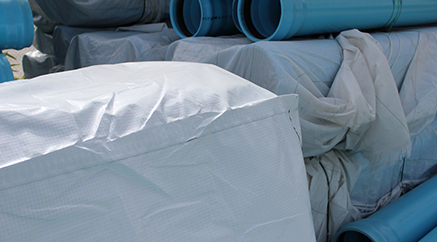 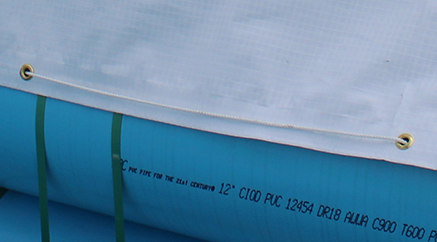 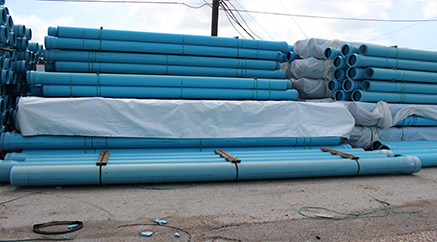 Grommeted and/or drawstring fabricated flat sheet tarpaulins are readily available for various lengths of pipe, as well as custom cylindrical configurations for coils of pipe. 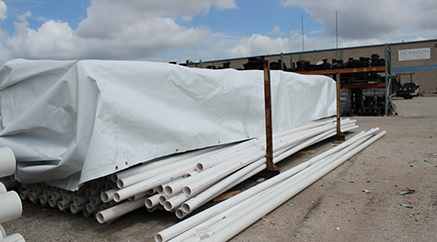 Griffolyn® pipe covers can be manufactured and fabricated to your exact requirements and are available in 10 days or less. 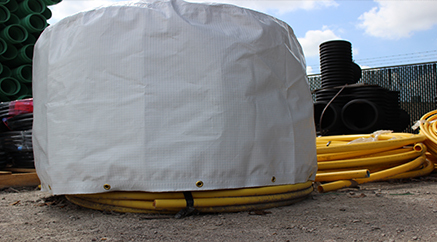 Griffolyn® is performance engineered for the most difficult applications and provides protection against extreme weather environments with properties such as tear, puncture and abrasion resistance. 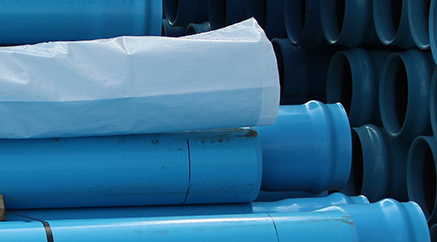 Griffolyn® pipe covers and sleeves provide significant cost savings through reuse and fewer replacements offering unmatched life cycle cost.